The French government is "definitely" going to close the UK border post in Calais after Brexit, according to a key ally of French presidential election frontrunner, Alain Juppe. The last bus carrying migrants has been driven away from the so-called jungle camp in Calais and bound for reception centers across France. A newspaper investigation in Britain claims to have discovered that the age of a child refugee brought to the UK from Calais is 22, not 16. 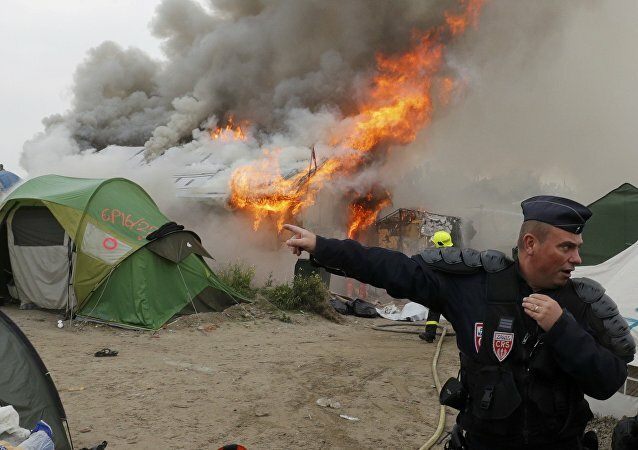 The French authorities’ decision to demolish the major migrant camp known as the “Jungle” and disperse its varied asylum-seeking inhabitants has rocked France and sparked controversy all across Europe. 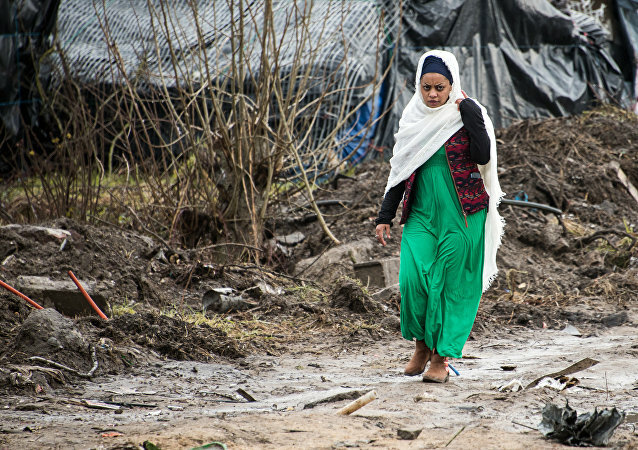 By Thursday 27 October, the French authorities had declared the demolition of so-called Jungle camp in Calais over, while charities and aid workers claimed many child refugees still had nowhere to go. The demolition is underway of the so-called Jungle camp in Calais, northern France, as the last tents and shacks are removed by the authorities. Britain's Home Office has halted the resettlement of migrants from France's refugee camp in Calais following a request from the French authorities. The demolition of the "Jungle" migrant camp in the French port of Calais, which is scheduled for Monday, has raised serious concerns among human rights activists: migrant expert Francois Guennoc told Radio Sputnik that the resettlement of such a huge camp on such short notice is simply impossible under "decent human conditions." 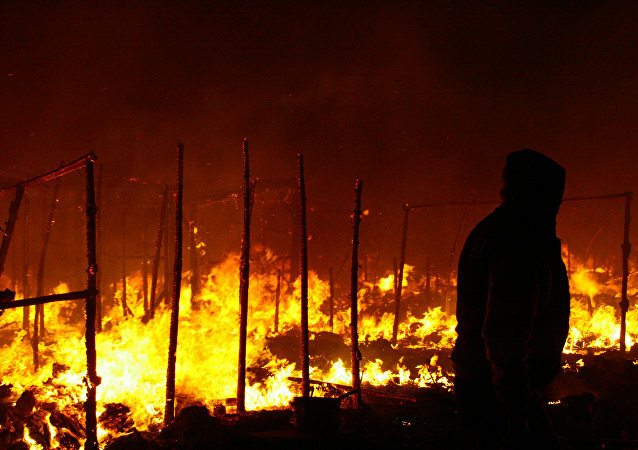 A translator working with a French TV journalist has reportedly been raped in the notorious “Jungle” refugee and migrant camp outside the city of Calais. A leaked report seen by British media reveals the extent French and UK authorities are aware of the sexual exploitation of children and women in refugee camps in Calais. The residents of Calais are growing more and more concerned about the "Jungle," the largest slum in Europe. In an interview with Sputnik, they described their daily lives, which become increasingly complex. 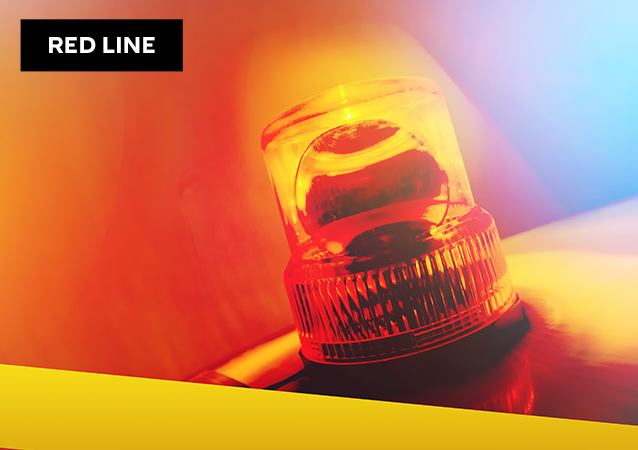 On France’s A16 motorway, traffic is blocked between Boulogne-sur-Mer and Dunkerque. 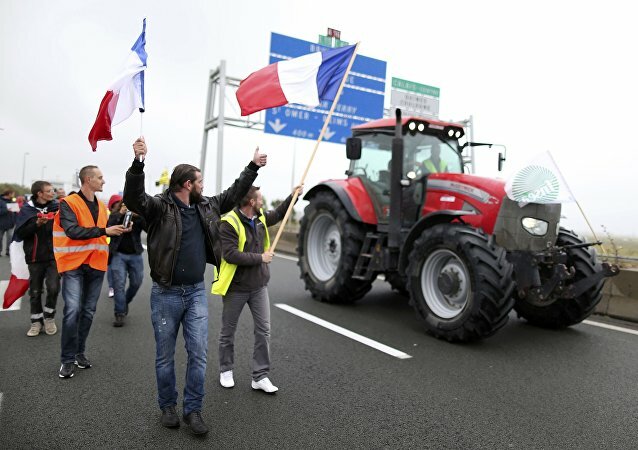 Hundreds of truckers and farmers, as well as dock workers, hunters and residents of Calais held a "snail" operation to draw attention to the problem of the deteriorating economic and security situation in the region. France is suffering severe disruption from farmers, truckers and residents living in Calais and fed up with the so-called "Jungle" camp, where an astonishing number of migrants live. People smuggling is on the increase, with 200 people being smuggled into the UK each week from the Calais "Jungle" camp. This is approximately 10,000 people a year, according to French police and security sources. 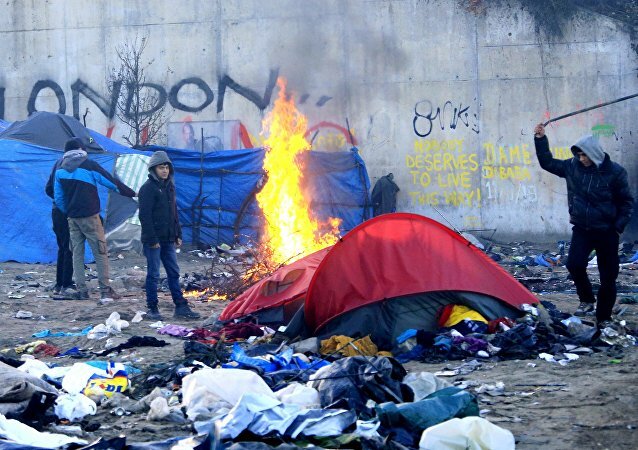 UK Home Secretary Amber Rudd, has rejected French demands to move the Calais migrant "Jungle" camp to England. It comes as senior French politicians, led by former president Nicolas Sarkozy, have called for the current UK-France border check deal to be scrapped. "Welcome to Our Jungle" is a participatory photography project, based in a refugee camp known as the "Jungle" in Calais, France, which gives its inhabitants the skills to tell their own stories through the medium of a camera. The Schengen Agreement is continuing to fall apart at the seams – this time it’s Belgium that has decided to restore checkpoints at the border with France fearing the spill of refugees from the infamous “Jungle” camp in Northern France, Le Monde reported.